CBCA Book Week has had a slogan since 1945. Until 1987 CBCA Branches had created their own posters to illustrate the themes and promote events. 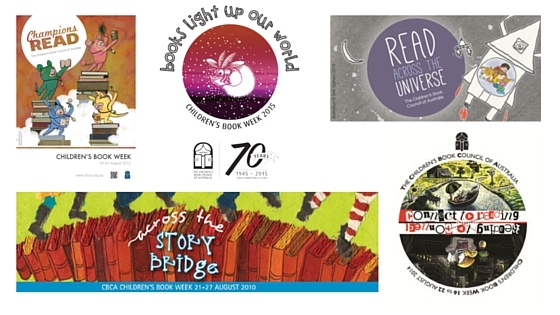 Since 1987 there has been a national theme which is chosen and voted on by the CBCA members. Artwork is developed by the winner of the previous Picture Book of the Year illustrator and used for CBCA Book Week promotional material and merchandise.